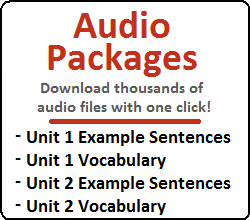 Lesson 109: In this lesson, you will learn a difficult grammatical principle that is very common in speech. Here, you will learn how to attach ~는가 보다 (or ~나 봐, or ~나 보네) to the end of a sentence to express that something might be the case. 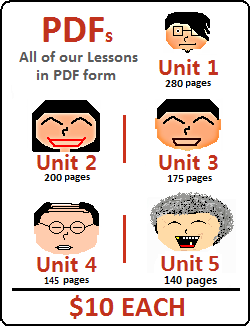 Lesson 110: In this lesson, you will learn how to use 어쩔 수 없다 and its various forms in sentences. Though not quite a grammatical principle (it’s more of a word combined with “~ㄹ/을 수 없다” it’s usage is fairly common and quite difficult – enough to warrant me to write a lesson about it. Lesson 111: In this lesson, you will learn how to add ~(이)라도 to nouns. Though this grammatical principle looks similar to (and sometimes even translates similarly to) ~더라도 (which you learned in Lesson 99), ~(이)라도 is in fact a separate grammatical principle with a separate usage and meaning. 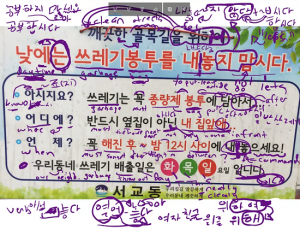 Lesson 112: In this lesson, you will learn how to use 편, both as a noun and as a grammatical principle to make your sentences softer and more humble. Lesson 113: In this lesson, you will learn how to use 길 as a noun that can replace 것 in the ~는 것 principle. Don’t be confused! This grammatical principle isn’t describing a road. It has a special meaning that we can study as a separate grammatical principle. Lesson 114: In this lesson, you will learn another noun that is often described by ~는 것 to form a grammatical principle. In this lesson, you will learn how to use ~는 김에. Lesson 115: In this lesson, you will learn about a grammatical principle that looks like it has an entirely different meaning and purpose than it actually does. I remember when I saw ~ㄹ/을걸 for the first time, I said to myself “Oh, I can probably guess what that means!” Boy was I wrong. Let me teach it to you. 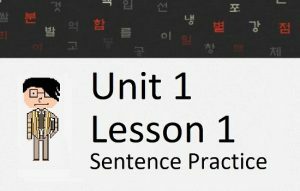 Lesson 116: In this Lesson, you will learn about the grammatical principle “채”, which I’m sure you have come across by this point. 채 is another noun that can be used as the noun in the ~는 것 principle that takes on a special meaning. In this lesson, you will learn how it can be used. Lessons 109 – 116 Mini-Test: Test yourself on what you learned from Lessons 109 to 116! A Mini-Test like this will be uploaded after every eight lessons. Don’t worry if the test doesn’t go so well – this website is here to help you!